When it finally comes time to replace your homes siding it can feel like a daunting process, as there are many different products to choose from. These different siding products also come in a wide range of price points. Some are relatively cheap, while others are quite expensive. Let us work through some of the most popular siding products and discuss some factors concerning their cost. 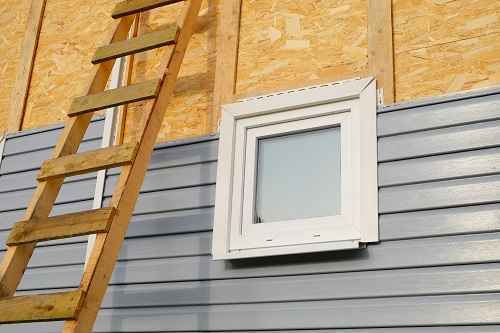 Vinyl Siding is one of the most popular choices when it comes to siding replacement. Since its debut in the 1950’s vinyl siding has come along way in both its durability and appeal. Vinyl is an outstanding material and will stand up to the outside elements while making your home look great for many years. Vinyl siding is one of the cheapest options when it comes to exterior siding for a couple of reasons. The cost of vinyl is relatively cheap when compared to other siding products. Why is vinyl cheaper? With its extensive recognition among communities and being a popular choice among consumers, suppliers produce vinyl siding in large quantities. The savings generated from high volume production is passed on to both contractors and consumers. With vinyl being a lightweight material and exceptionally easy to handle and work with, install times are considerably less than with other siding products. This means contractors will charge less because they can cover more square footage in a set amount of time. James Hardie is a fibre cement product used for exterior siding. It has incredible recognition amongst the market as a premium brand. Although James Hardie has a higher price point it encompasses many benefits. 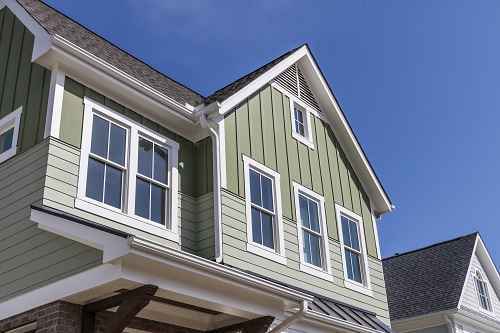 Let us look at some of the benefits of using James Hardie for your siding project. James Hardie comes with a 30-year non-prorated warranty. This is one of the best siding warranties offered among siding products. James Hardie has many benefits, which will save you money in the long run. Engineered for specific climates to make sure it performs in different regions around the globe. Paint is baked on. This prevents the paint from fading, cracking and chipping over time. Reduce insurance premiums because it is both fire and hail resistant. Moisture and rot resistant. James Hardie is designed to stand up to the outer elements. Insusceptible to pests, such as birds and insects. James Hardie makes an impression when it comes to “curb appeal.” When correctly installed James Hardie can make a home look beautiful. Whether you’re building a home or renovating one, there are some remarkable siding products to enhance your home’s exterior. If you are looking to improve or fix your home’s siding, contact us today.